The next blow in Boris Johnson’s chapter of political suicide has been made: a piece in the Mail on Sunday which supplied him ample room to take yet another shot at the ghostly British prime minister, Theresa May. There was nothing new in it; everybody knew what Johnson’s views were, and the position he had taken since hyperventilating over July’s Chequers statement on Brexit was simply reiterated with the usual reckless prose. Johnson’s very public falling out with his fellow Tories after resigning as Foreign Secretary continues to play out the ailing nature of the May government in very public fashion. Cabinet ministers have had to take very public stances to back the prime minister. Current Foreign Secretary Jeremy Hunt sounded trench bound in waiting for the barrage, calling on colleagues to keep firm behind May “in the face of intense pressure”. 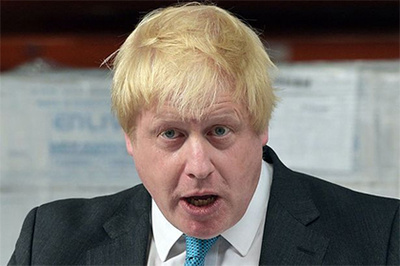 The issue with Johnson has certain similarities to another Westminster country thousands of miles away, and one still insisting on retaining the same British monarch as head of state. Australia resumes parliament with a new prime minister after a needless bloodbath initiated by party functionaries hypnotised by pollsters and number crunchers. The plotters there were also claiming that the governing party had gone vanilla and soft on the hard political decisions. Prime Minister Malcolm Turnbull had been all too centrist when he could have done with a few lashings of decent, hard right ideology. The result: Australia’s first Pentecostal leader. Johnson’s overall popularity in Britain is on par with May, a statement of true depression and deflation. But where he has traction is in the ideological, stark-raving mad stakes, a point that May’s aides know all too well, given their efforts to compile a 4,000 word “war book” on the man’s sexual proclivities in 2016. Unlike other European states, sexual prowess, evenly spread inside and out of marriage, is seen as an impediment to high office. Johnson is a spluttering John Bull, foolhardy and all, and his supporters like that. Irresponsible, destructive, a true political malefactor and dressed up public school boy charlatan, he is genetically programmed to disrupt rather than succeed, to undermine rather than govern. His world is not that of figures and sober appraisals, the desk job assessment, the compiler of facts. Those are best left to the hard working empirical types of industry and a hard day’s work. Even his personal life has not been immune from the all-consuming circus that is the Boris show. His announcement last week that he and his wife of 25 years, Marina Wheeler, would be divorcing, was seen as a political calculation, timed to eliminate any prospect of scandal in the event of a leadership challenge to May. His opponents, however, have an eternal hope that he will self-destruct, stumbling into a back-end swamp where he will perish as quietly as possible. Johnson’s barbed comments, came foreign office minister Alan Duncan, marked “one of the most disgusting moments in modern British politics”. Making them spelled “the political end of Boris Johnson”. Unlikely; should Johnson conclude his political career anytime soon, he is bound to be as destructive as the vest he claims May has wrapped Britain in.